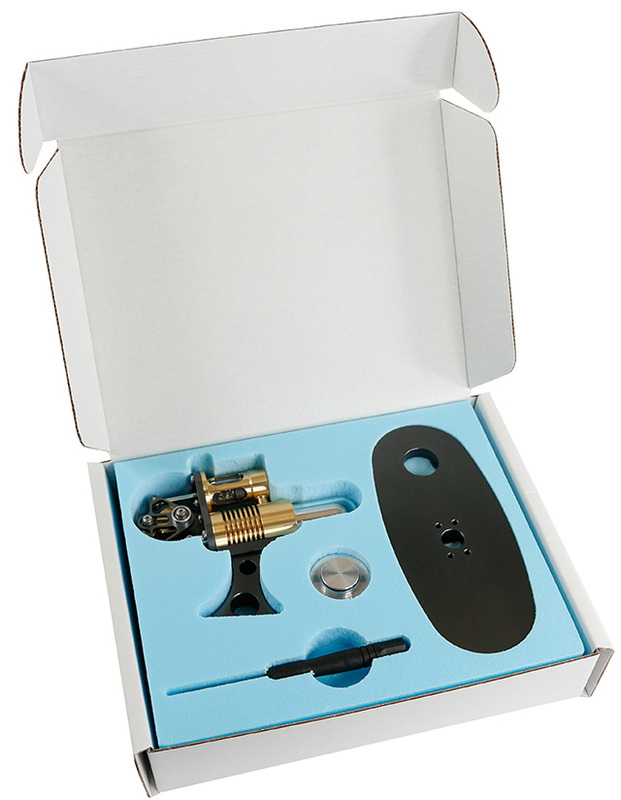 It is a small elegant compact engine, which runs at blistering 2000 RPM from a tiny flame; We have made a special burner to go with the engine, you just light the burner, let the engine heat up and then give the flywheel a small flick to start the engine. The entire nano cannon engine was first designed and then simulated in CAD/CAM. Prototypes were then made and tested, parts were then redesigned and prototyped again until the engine was perfected. 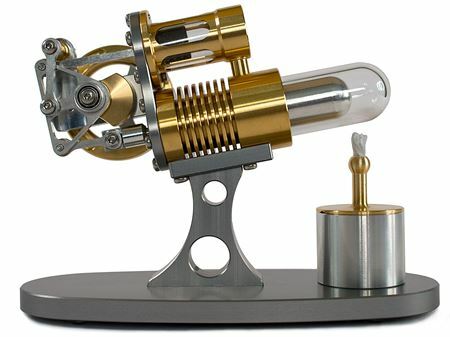 The engine has special borosilicate glass which can withstand high temperatures enabling you to glimpse inside the engine. A mesmerising Ross yoke links the power piston to the displacer piston, this mechanism is compact, reducing the overall size of the engine. We have utilised our low-friction graphite piston, this is self-lubricating and requires no maintenance. A brass heat sink disperses heat from the cold side, while the rest of the engine is made from anodized aluminium. This beautiful engine will run at over 2000rpm on a tiny methylated spirit flame.